Every day — whether it’s the landlords charging ever more rent for ever shittier apartments, the boss pushing you to work harder, the business association lobbying for more cops, or just the Audi that cuts you off in rush hour — the rich make our lives worse. Every day we have to deal with their attacks on us, but every once in a while we can find a way to strike back. 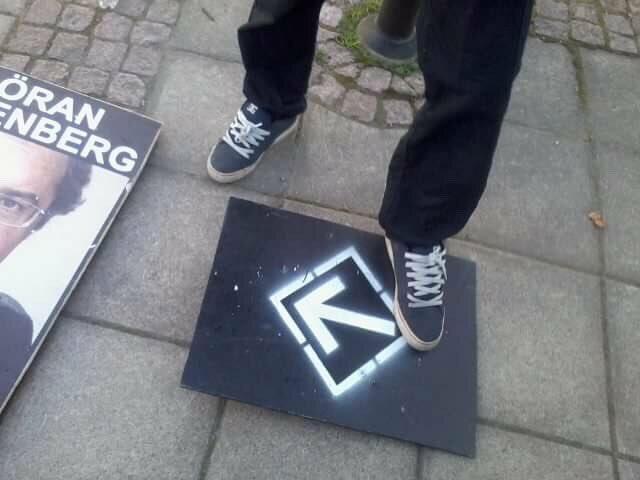 I was asked to write a piece for the Swedish anarchist magazine Brand about the resistance against the Nazi march in Gothenburg 30/9. The subject of the issue was joy and militancy, here you go! 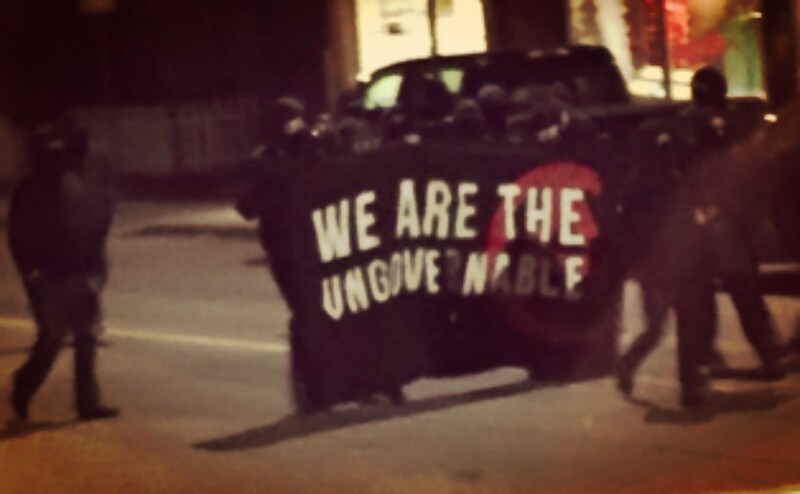 Continue reading Has The #BlackBloc Tactick Reached The End Of It’s Usefulness? 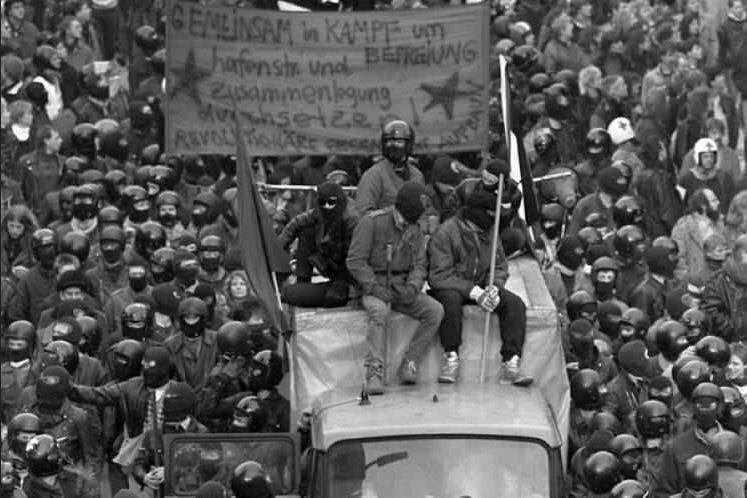 We re-publish a text from 2001 (first published in 2002) by David van Deusen of the Green Mountain Anarchist Collective. 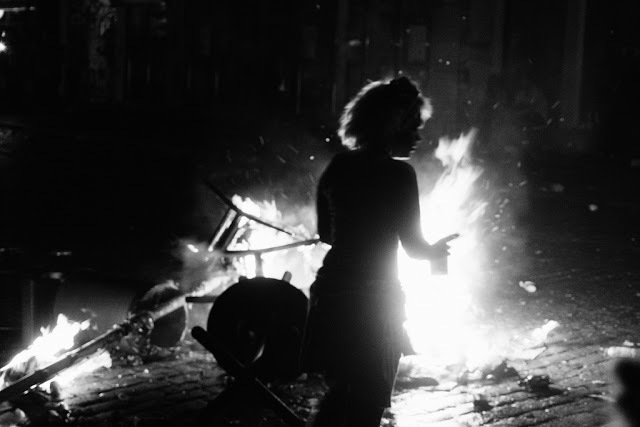 #BlackBloc: And After We Have Burnt Everything? 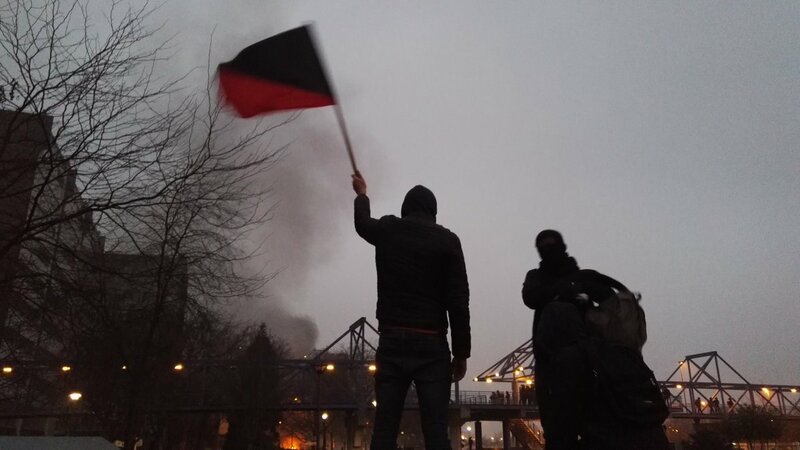 We re-publish a letter (and the reactions on the letter) about the clashes during the NATO summit in Strasbourg in 2009: Correspondences about revolutionary strategy and emotions by a few “rioters”. Image: The riots during the NATO summit in April 2009 in Strasbourg, France. 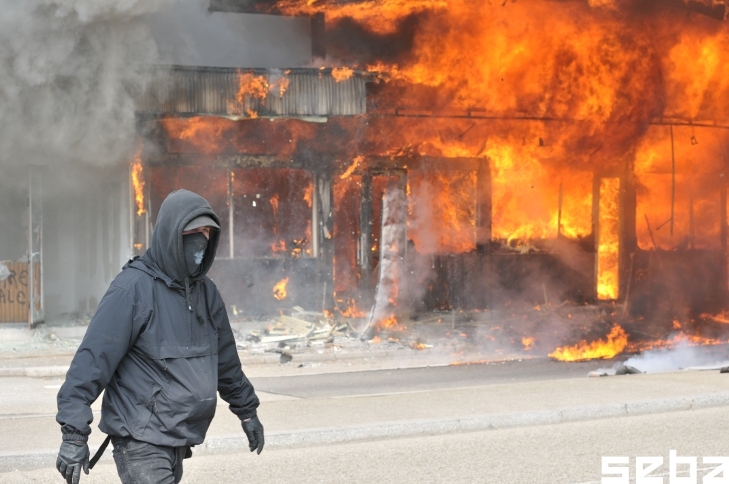 Continue reading #BlackBloc: And After We Have Burnt Everything? 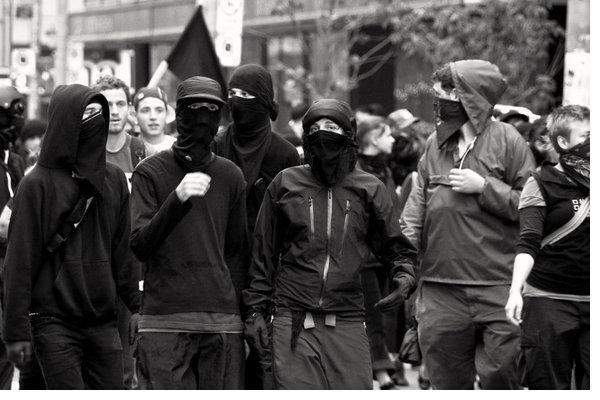 A Communiqué on Tactics and Organization to the Black Bloc, from within the Black Bloc by Anti-Racist Action & The Green Mountain Anarchist Collective. 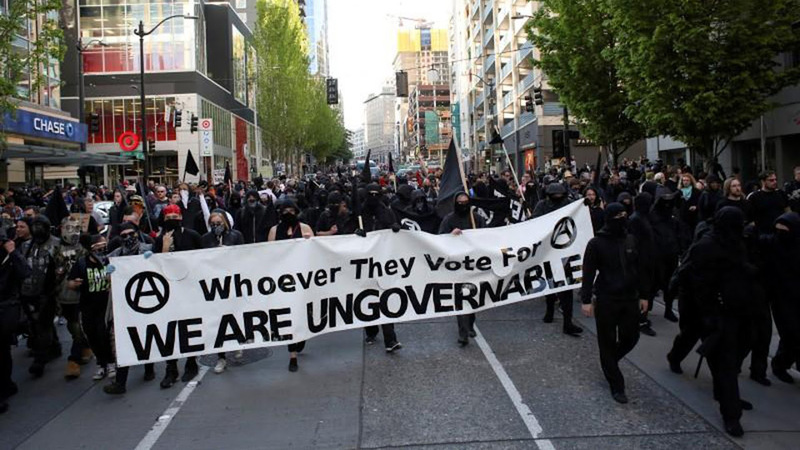 The University of California at Berkeley probably will not be the last American college to experience mayhem at the hands of “black bloc” militants. In the weeks since President Trump took office, such activists have mounted destructive protests not just on Berkeley’s campus but in the streets of Portland, Ore., and Washington D.C. Although the target of their Berkeley action, the right-wing provocateur Milo Yiannopoulos, has been sidelined as a result of controversy over his remarks about pederasty, other similarly incendiary “alt-right” leaders, such as the white supremacist Richard B. Spencer, remain on the college speaking circuit. 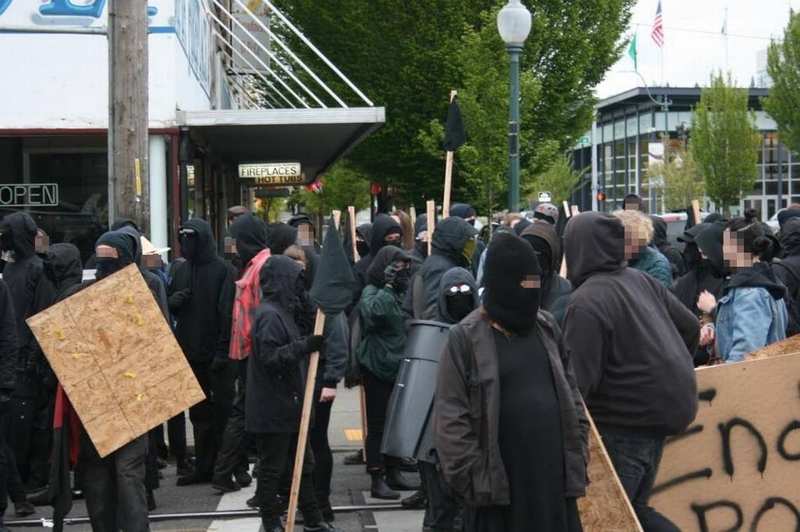 The “black bloc” label, attached to those who broke windows and set fires at Berkeley, refers not to a specific organization but to a specific tactic that involves wearing black clothing to blend in with other activists, shielding one’s identity behind bandannas or masks, and causing disruption to get a point across. Lacy MacAuley, a member of the D.C. Antifascist Coalition, has been a public face for such militants. In January, for example, she was a spokeswoman for DisruptJ20, the group that organized Inauguration Day protests, without permits, at which black-bloc activist destroyed property in downtown Washington and skirmished with the police. 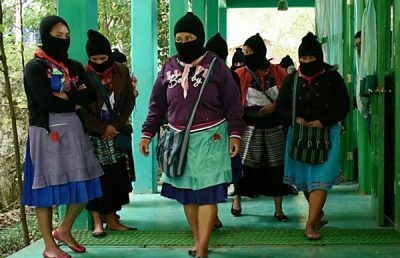 On a national level, she has provided media representation for anarchist and leftist activists for about 12 years. In February, The Chronicle asked Ms. MacAuley about this month’s chaos at Berkeley and the likelihood that other campuses will see similar activity. Following is an edited and condensed transcript of that interview. Network for Police Monitoring (Netpol) co-ordinator Kevin Blowe explains why the organisation encourages activists to mask up.